For the goal we want to achieve (hosting a web server, our personal files, personal streaming server, …) we do not even need the graphic environment. 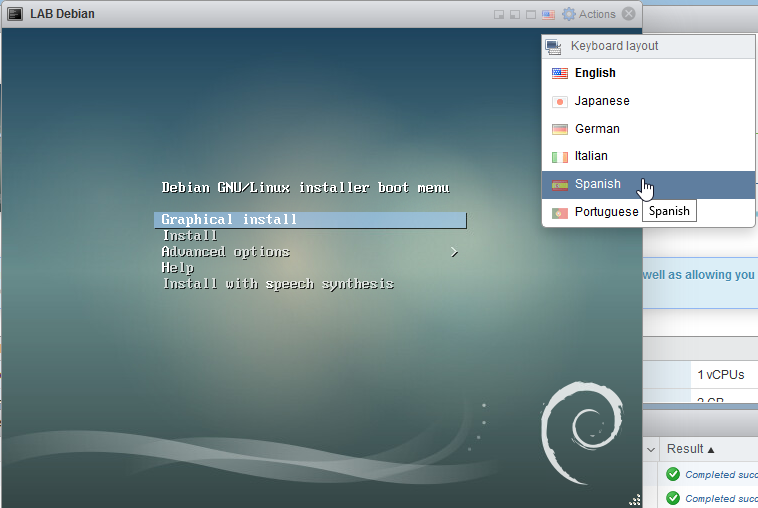 Therefore, I like to do it on a Linux (in this case, Debian is my personal choice) with the minimum installed so that we save resources and space and, in turn, be more secure (basic security best practice: just install the install the minimum required services). Lets go! Once downloaded, lets upload the file to the datastore. Select the datastore in which you want to upload it, and click no “Datastore Browser” option. Create f.e. a ISO directory and upload the ISO. Lets start with virtual machine creation process. 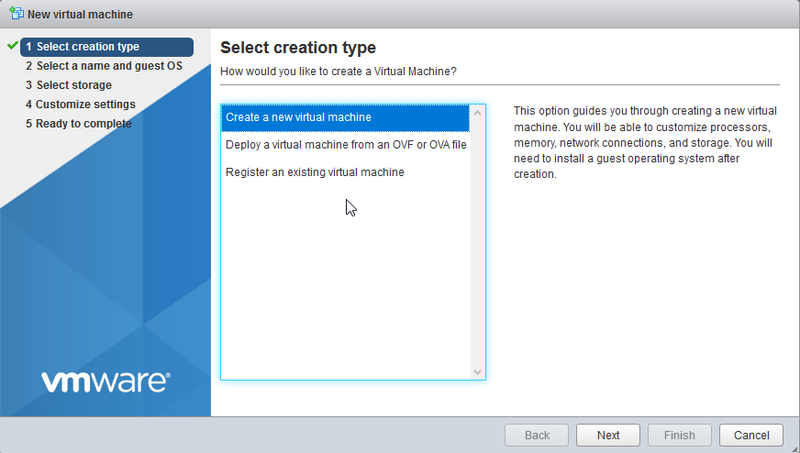 In “Virtual Machines” section, click “Create / Register VM”. 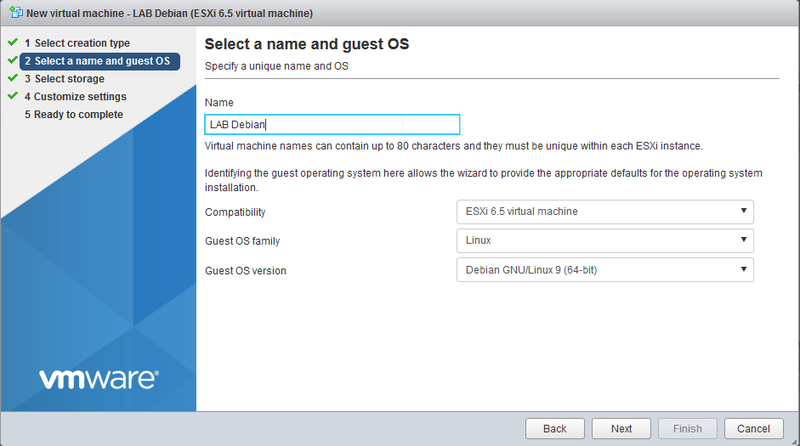 Name the virtual machine, and select de OS family (Linux) and version (debian GNU/Linux 9 (64-bit)). – CPU and memory can be changed after created and installed the Linux, so no problem. – The DISK can also be extended (it depends on enabling Linux LVM that we’ll see a bit later in this post). – Disk provisioning: I recommend the thick provisioned (so that the virtual machine file size does not provision the configured space from the beginning, but the used one). 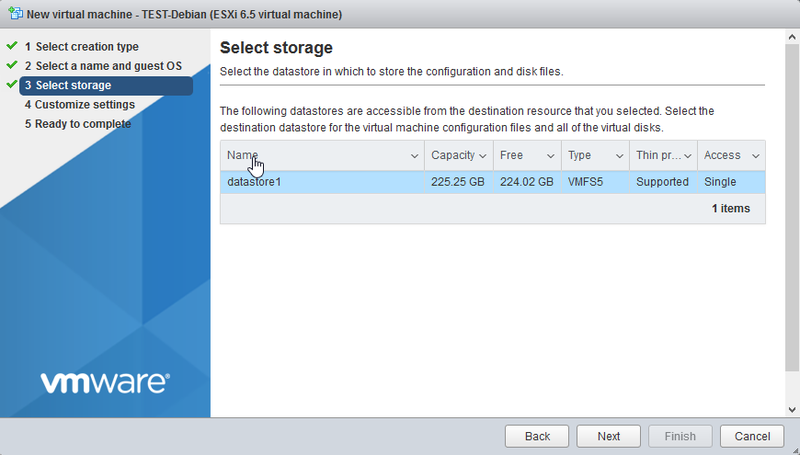 Dont forget to connect the network adapter to your single VM Network and the CD/DVD Drive to the Datastore ISO file that was downloaded in the previous step. 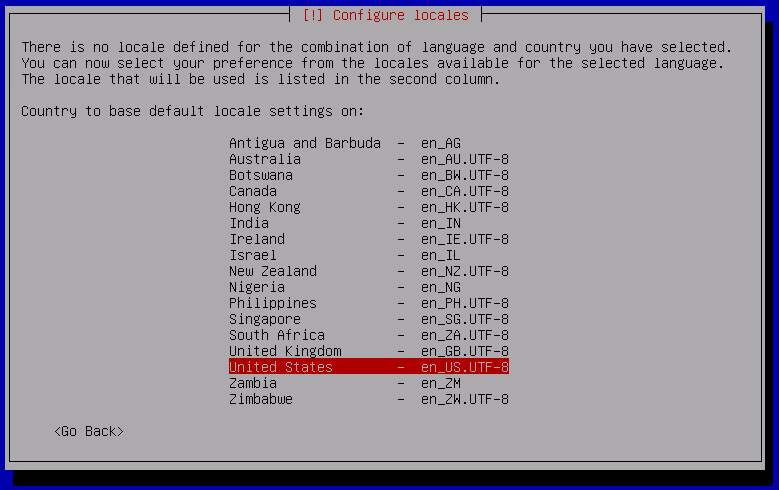 – LVM (Guided – use entire disk and set up LVM). For a testing or lab machine use the standard partitioning. But for a “production” machine i encourage you to use LVM because that allows to extend the partitions size in case you need more free space. 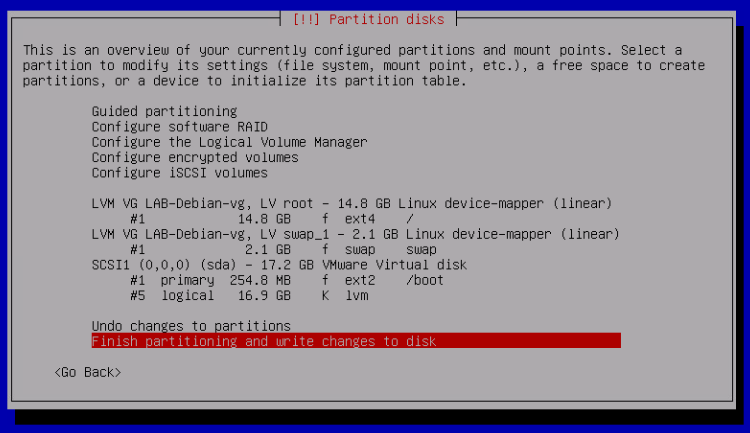 Here you can see how the guided partitioning has mapped the the partitions. Depending on your needs you can choose software collections. 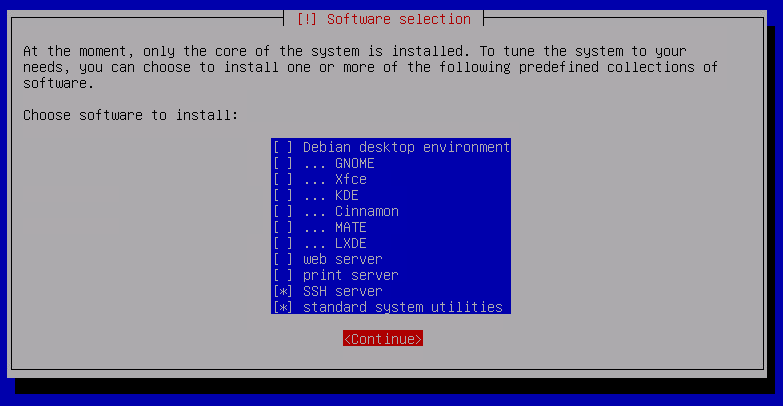 I usually choose “standard system utilities” + “SSH Server”. 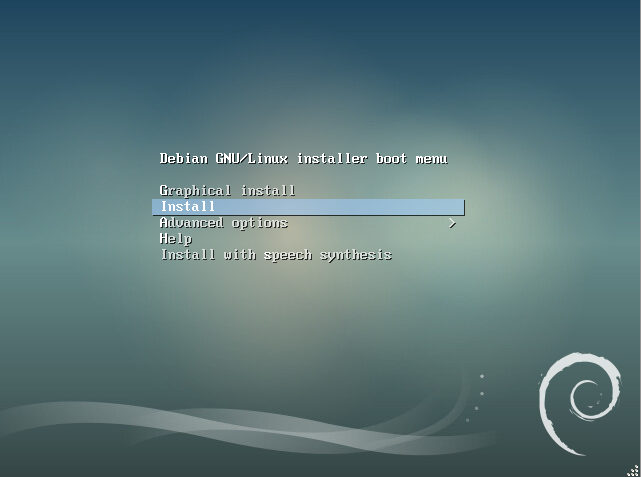 In case i need more extra software (like a web server) I install it manually after OS installation. 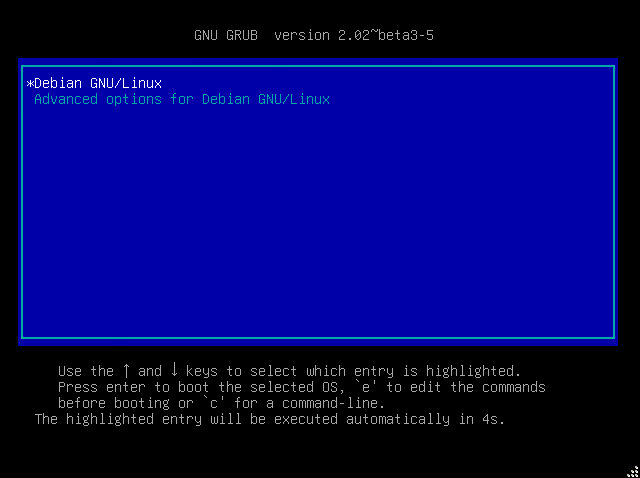 Now, after rebooting, the GRUB menu will show up and your recently installed Debian Linux will boot up. 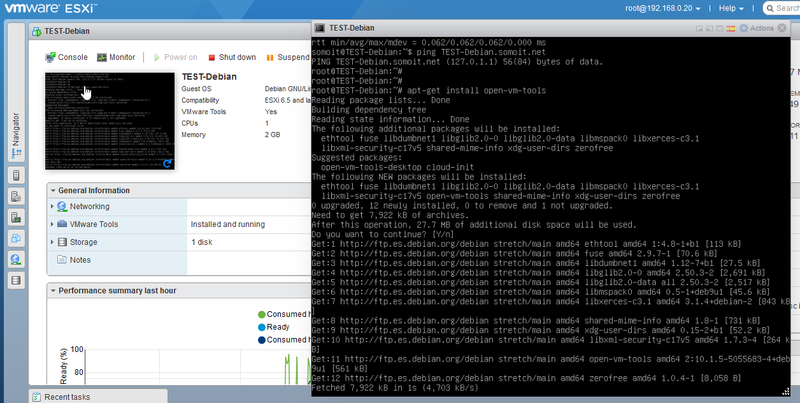 To install them, simply install the open-vm-tools package. 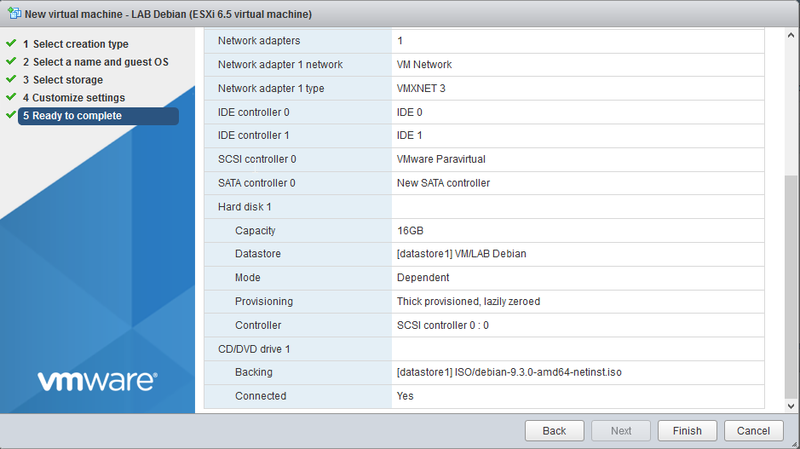 This entry was posted in Home Server, Linux, VMWare and tagged home server, linux, vmware by Sysadmin SomoIT. Bookmark the permalink.